The system is located in the south of Olargues, in the Avant-Monts of Beziers on the left side of the stream of Crozes. 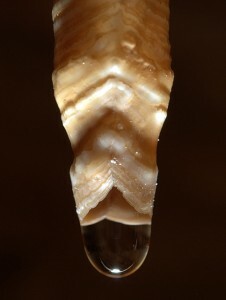 The Asperge cave was discovered in 1978 by the SC Beziers and Avant-Monts. The first discovery, made by the same club, was named Aven des Crozes.It was in 1992, after 14 years of digging that the final access was created. 7km of the system has been explored at over 130 meters depth. This cave is the west head of the Rautely system, a karstique system. You will find many aragonites in a baguette shape and they are also very large . 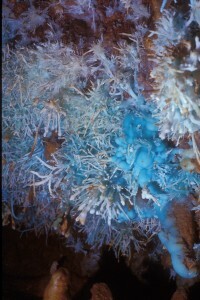 The best part of the cave is the ceilings recovered by blue aragonite! 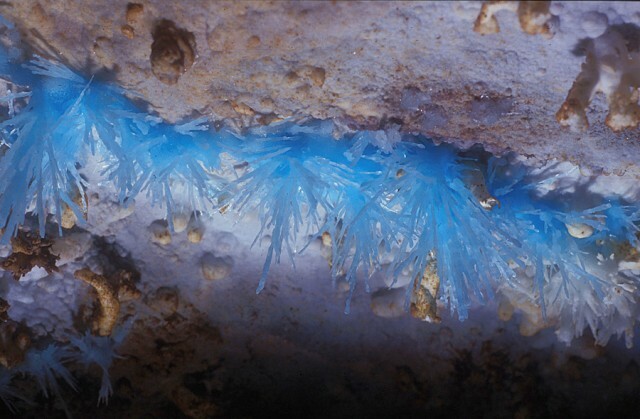 The blue aragonites in baguette shapes have attracted many speleologists from all over the world as it’s an exceptional site and view!